Pauline Oberg Bayers passed away on July 3, 2015, at the Marquis Care Center in Butte, Montana after a courageous 15-year battle with Alzheimer's disease. Pauline was born in Great Falls, Montana on May 26, 1931 to parents Ross and Oubri Oberg of White Sulphur Springs, Montana where her father was manager of the Woodward's Department store. Approximately 10 years later the Obergs moved to Twin Bridges, Montana where her father managed the Woodward's store there. Her parents were also teachers at the Montana Children's Center and her mother was a music teacher and church organist. In the Twin Bridges school system Pauline excelled in academics and music and she was elected to be the first delegate to Girls State Montana from Twin Bridges in her junior year. She and her siblings were musically talented and had music lessons every Saturday in Butte, some 45 miles away. For the times this was unusual for an entire family to have weekly music lessons. Pauline excelled in piano and strings, primarily viola, and she was a part of the Twin Bridges High School music programs. She graduated as salutatorian of her high school class the following year. Pauline went on from high school to college at the University of Montana in Missoula, where she obtained a degree in Music Education and graduated with honors. During this time she was also named to the Mortar Board organization and was a member of the Tri Delta sorority. Shortly after graduation in 1953 Pauline was married to Byron Bayers, who at that time was in the Air Force. Pauline and Byron spent the next two years at an isolated radar site in Yaak, Montana. From this union three children were born, Rich, Kathy and Jill. After Byron's release from active duty, they returned to the ranch in Twin Bridges where they raised registered Herefords. Pauline was a dedicated ranch wife and was involved in the family's Hereford ranch, traveling to many sales and events with her husband Byron. They attended two World Hereford Conferences, one in Brazil and the other in Canada. She spent many summers cooking for at least 12 hungry young ranch workers. She was a fabulous cook. Since the ranch had an annual bull sale, Pauline was also in charge of feeding the sale day crowd which often numbered between 600 to 1,000 people. These were both huge tasks that she did very well. She was active in the Montana Hereford Auxiliary and Montana Cowbelles for many years. She was awarded the Montana Hereford Association Woman of the Year. At age 50, after flying with her husband for over 25 years, she decided to learn to fly and received her pilot's license. She took her flight test in a high performance Cessna Centurion to prove her skill at that juncture in her life. Pauline was the first licensed woman pilot in Madison County. Pauline was an accomplished musician and over the years was part of several musical groups. She was a member of the Chug Chug Girls, a group of local ranch wives who entertained throughout the state of Montana for about 10 years. She also was part of a Ruby Valley string quartet which practiced regularly. Her children often marvel that not too many ranch kids had a string quartet practicing in their living room. The quartet occasionally performed at local events in the valley. Pauline also taught piano lessons to many Twin Bridges kids, one of whom recently carried on part of the tradition by teaching children in Africa how to play piano. She was the director of the local church choir at the Church of the Valley for 35 years and with friend Ruth Woods, started the Ruby Valley Choral, which is still in existence today. Ruth and Pauline, along with Phyllis Ruppel and several others in the Twin Bridges community were instrumental in organizing Jubilate which was a music and arts retreat held at the Church of the Valley for close to 20 years. This was a tremendous Christian outreach which included music and art seminars, choral groups and instrumental performances. The group was able to obtain professional singers and musicians who participated in and taught retreat which was held in the little town of Twin Bridges. Along with her musical talents and activities at the Church, Pauline had a deep Christian faith and was very involved in the Church of the Valley her entire life. 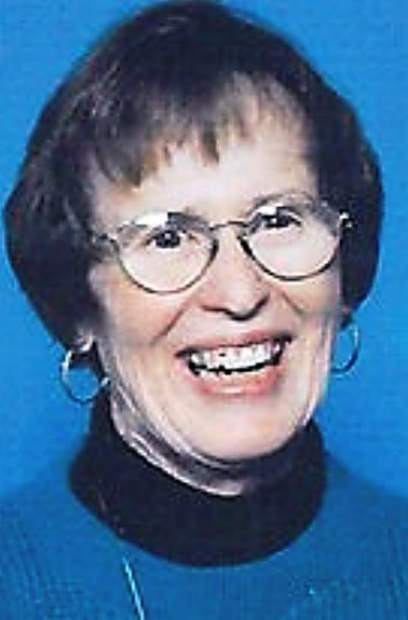 Pauline was a member of the Butte Symphony for over 15 years, playing the viola. A highlight of her time with the symphony was being selected to play with the Montana Summer Symphony in Helena for three years. Pauline was also an avid member of Toastmasters and participated in speaking events throughout Montana. Pauline was fortunate enough to see some of the great cities of the world, mostly because of connection to the cattle and agricultural community and her travels with her husband, but also in traveling with her daughter Kathy. Those cities included London, Paris, Madrid, Rio de Janeiro, Montevideo, Buenos Ares, Honolulu, New York, San Francisco, Seattle, Denver, Phoenix, Kansas City, Chicago and Calgary, among others. Her travels also included many bull sale trips. Pauline had a definite love of fun and adventure, especially with her family. She would take the kids and any young cousins that wanted to go, swimming, touring Yellowstone Park, skiing and any other fun activity. Pauline and Byron's 62nd wedding anniversary was July 4, 2015. Survivors include husband, Byron of Twin Bridges Montana, son, Rich (Mary Ann) of Buffalo Wyoming, Kathy Bayers of Bozeman, and Jill Bayers Hotchkiss (Marc) of Reva, South Dakota. Granddaughter Lindsay Hruby (James) of Cheyenne, Wyoming, Britt Bayers of Portland, Oregon, great granddaughter Mia of Cheyenne, Wyoming and numerous nieces and nephews. Preceding her in death were parents Ross and Oubri Oberg, brother Bob and sister Marian. Remembrances can be made to the Church of the Valley in Twin Bridges or the Alzheimers Organization. Services will be held in August.